I wrote this back on June 14, 2013 for Father’s Day and wanted to come back to it this Christmas season. I’ve only added Lebron’s championship picture and an updated Toby Mac video. The rest is verbatim what I wrote a few years ago. I have church members and friends who are fostering and/or adopting. I am so proud of each and everyone. Please take another look and remember this Christmas, that God is the “Father of the fatherless!” Blessings! 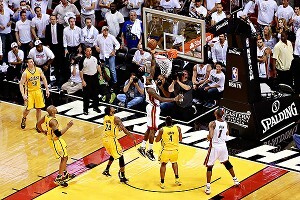 The NBA finals are in progress and the best of the best world’s basketball players are going at it. I’m pulling for San Antonio, but all eyes are on LeBron. The story that captured my attention was the relationship LeBron had with his peewee BB coach, Frank Walker. 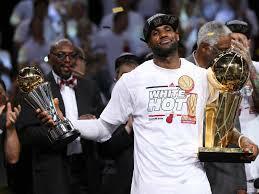 LeBron just recently credited coach Walker for the game #1 win in the NBA finals. Huh? LeBron was 8 when coach starting working with LeBron on the fundamentals. When LeBron was 9, his dad was not in his life and him mom was only available on weekends. Coach Walker took LeBron into his home to live and learn about life. Space does not allow us to tell the entire story, but suffice it to say the greatest basketball player on the planet could have possibly disappeared before he came of age, but for a peewee coach who took special interest in the fatherless. I know it isn’t Christmas but I had to listen to this Toby Mac song…bear with me for 3 minutes. I’ll be back. Adoption is on the rise…Christians are getting involved in foster parenting. The church is rescuing orphans one at a time, just like the Heavenly Father has rescued us in Jesus. I love seeing the pictures of my friends adopted children on Facebook. It is thrilling. If LeBron’s peewee coach could shepherd the great basketball player in his vulnerable years, how much more could a Sunday School teacher, a children’s worker, a neighbor have on one of the fatherless among us for the Kingdom. Let’s not forget the fatherless this Father’s Day and beyond.